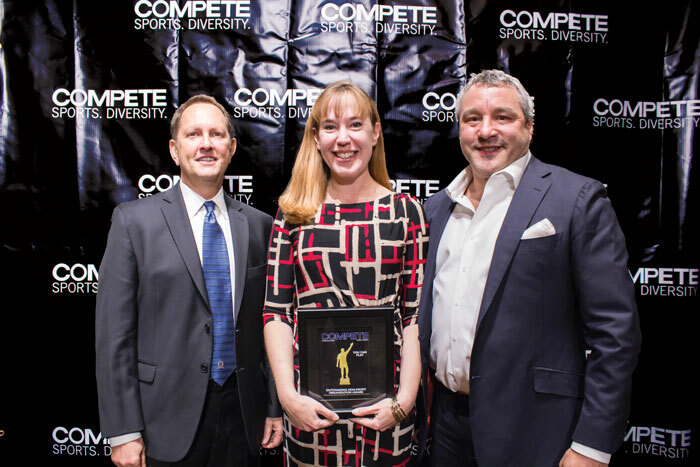 Very happy to see You Can Play recognized at the Compete Sports Diversity Awards. I have been a professional hockey fan for years and appreciate You Can Play’s mission and good work. I’d like to see more about Allison Jones in the pages of Compete Magazine. While it was nice seeing her mentioned in both the November and December issues, someone as inspirational as Allison deserves to be a featured story, not just a sidebar. TALK TO US! Submissions to Compete should include the writer’s name, address and contact phone number and should be sent by email to [email protected]. Letters may be edited by Compete and become the property of Media Out Loud, LLC.